The people of Enviu develop innovative solutions to environmental and social issues and introduce these to the market. This is your chance to invest in us! The companies that we develop can potentially drive a massive positive change on the environment or society. Enviu has already deveoped three start-ups, such as the Sustainable Dance Club. We create and develop these start-ups together with our community, currently consisting of about 8,000 people who all cooperate by using their talent, knowledge, experience and time on a voluntary basis. Together, we create solutions, attract appropriate funding and create a pilot to test the business-case and bring the idea to life. In the years to follow, we plan to work on at least 9 new start-ups. Information on these start-ups can already be found on http://www.enviu.org. You will receive a certificate of your investment, and are entitled to share in the profit. Next to the certificate and your share of the profit, you will receive a free package of Yuno snack (one of our first start-ups). Also, you have a chance of winning a TukTuk with driver for a weekend, or have the Sustainable dancefloor at your own party! Next to all the good stuff mentioned above, you will receive a special invitation to the launch of our new start-ups. See for yourself where your money is being invested in. Off course you will receive all of the above. Moreover, you will also receive the possibility to have an annual meeting with the founder of Enviu, Stef van Dongen. Also, you will receive a VIP-treatment at our next Enviu-live event! Next to that, we will set up a brainstorm-session for you with our best Enviu-talents. You can decide the subject of the brainstorm. Whether it is product development or strategy-advice, Enviu brainstorm sessions have delivered suprisingly good results on different occasions. Invest € 10.000,- or more. Although the Symbid-system is capable of handling investments of this size, it is better to contact us personally before you make such an investment. Please contact us through stef@enviu.org or give us a call on +31 10 288 7970. For more infor check the Q&A documents. Every investment gives the right to a share of the profit being made. Your part of the profit is based on the size of your investment in Enviu Participations, which is explained in the finance section of this page. Creating companies starts with an idea. The Enviu Foundation develops new projects: companies that have a positive impact on environment and society. As soon as Enviu Foundation has developed a project to a start-up company, this project will be offered to Enviu Participations and be judged by its independent Investment Board. If the Investment Board accepts the project, Enviu Participations will buy the project from Enviu Foundation against payment of the cost price, possibly increased with a mark-up. In return, Enviu participations will receive a part of the shares of the new start-up. This is what we use your money for. We intend to start these businesses and sell them when they are well-developed. If we realize a sale, we will use part of the revenue to invest in new start-ups. The other part of the revenue is profit, which is shared between the holders of stock and certificates in Enviu Participations. This is your actual return on investment. Because we invest in start-ups in an innovative sector, it is impossible to guarantee a fixed return on investment. However, we focus on receiving a return on investment of 5%-7%. Re-investment of sales by using them to invest in our other start-ups will happen after consultation of our shareholders and after a polling amongst our crowdfunders. Enviu Participations b.v. gets a kickstart because our share of the first three start-ups will be transferred from the foundation to the participation company. These start-ups are: (i) Sustainable Dance Club BV, (ii) Yummm! Concepts BV and (iii) Three Wheels United BV. The value we attached to these participations is based on the value used during recent investments in these companies, or, if such information is not available, on the business plan of the participation. 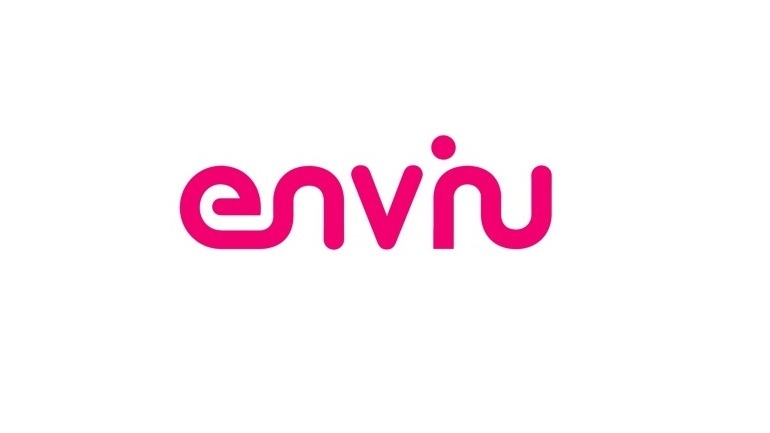 In addition, Enviu Foundation is obliged to develop new (sustainable) companies for Enviu Participations. The value of the different contributions added up is worth € 2,500,000 in total. Consequently Enviu Participations is worth € 2,500,000. Your contribution of € 100 is 1/250,00th part hereof, so this equals your part of the profit.